Dumpsters are used to move rejected waste from manufacturers, house cleaning and projects and it arrives in a mixture of dimensions. Temporary dumpster rentals are frequently called open top roll offs and come in 12, 15, 20 and 30 yard containers. A dumpster can be permanent, temporary, open top or compactor type. Household clean-ups, roofing projects, kitchen and bathroom renovations and construction sites often use a roll off dumpster. Dumpster bins which arrive in smaller sizes such as 2, 4, 6 and 8 yd measures are more commonly used for permanent dumpsters which are usually located outside of companies for the collection of their daily garbage. 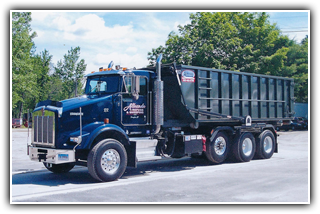 We will deliver and pickup roll off dumpsters in Torrington, Connecticut and surrounding areas. Contact us today at 860-482-6799 in Torrington, CT for additional information about delivery and service. One cubic yd is equivalent to 1 yd wide x 1 yd long x 1 yd high. A 6 yard dumpster contains 6 cubic yards. A giant couch will occupy about 1/3 of a 6 yard container. 12 and 15 yard dumpster rentals are very popular for little to mid-size home jobs. 20 and 30 yard dumpster rentals are perfect for destruction and giant house remodelings. Approximate size of 6yd dumpster 5' high, 6' wide and 6' long. How much can 6yd dumpster hold? 6 cubic yards of material. Can be used for small garage, house or yard clean out, small bathroom remodel. How much can 12yd dumpster hold? 12 cubic yards of waste, approximately 5 to 6 pickup truck loads. A 12yd dumpster could be used for a small basement or garage cleanout, taking down a small deck about 250 - 300 sq. ft, minor yard debris or a small house remodeling job. How much can 15yd dumpster hold? The weight depends on the type of material. Use the 15yd Dumpster for medium size attic, basement, garage cleanup, disposal of flooring such as hardwood floors, carpets, tile, roofing etc. Approximate size of 20yd dumpster 4' high, 8' wide, 22' long. How much can 20yd dumpster hold? The weight will depend on type of material disposed of. 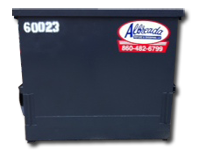 20yd dumpster rental could be used for large basement, attic, or garage cleanup, roofing, deck removal. How much can 30yd dumpster hold? 30yd dumpster will hold 30 cubic yards of waste. 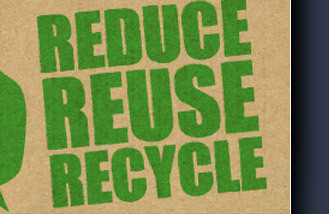 The weight will depend on the type of waste being disposed of. 30yd dumpster rental can be used for major home addition and renovation, construction sites, new construction, demolition, entire house window or siding replacement for small to medium house, roofing, commercial roof tear offs, commercial clean outs with large amounts of waste.